Sunrise and Fog photograph for sale as Fine Art. The early morning sun rises over foggy lowlands on a segment of the Wisconsin Ice Age Trail near Belleville, in southern Dane County; prairie flowers rest barely visible in the dark foreground. 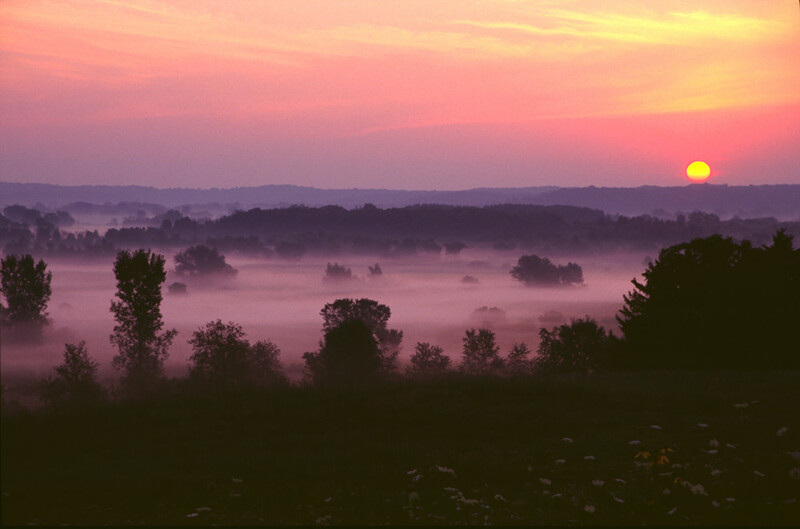 A foggy morning sunrise on the Wisconsin Ice Age Trail, in rural Dane county.